The Bentson Copple & Associates team works hard serving the orthodontic community throughout the year. We do, however, have a little fun around the holidays! 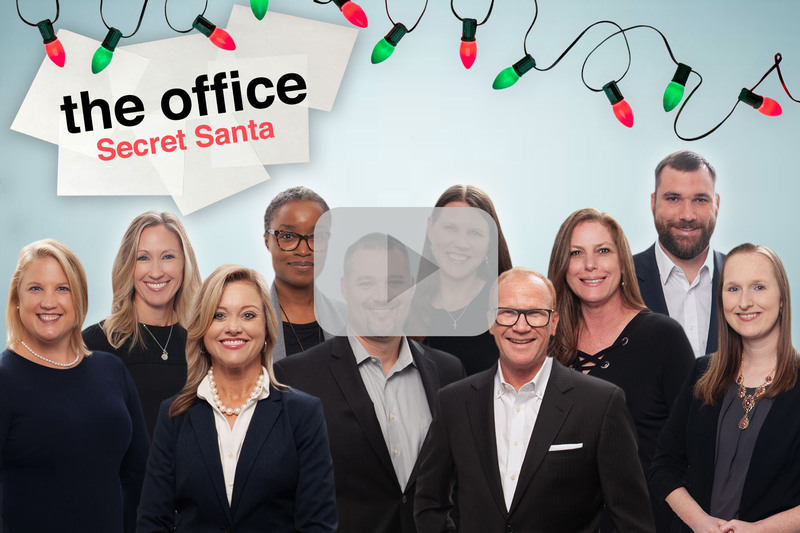 This year’s annual holiday video pays homage to NBC’s The Office, one of our favorite TV shows. Let’s take a deeper look into our unique office culture through our Secret Santa gift exchange and learn a bit more about our team members. We may have over-shared a bit, but it’s all in the name of comedy! 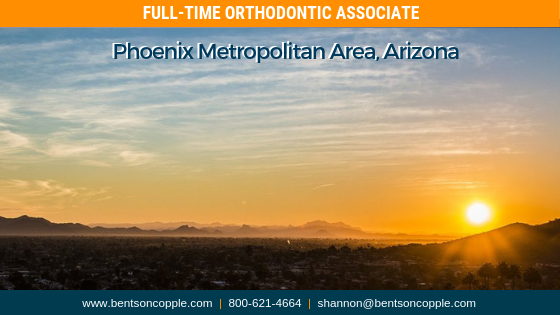 A one-of-a-kind, private orthodontic practice located in the Phoenix Metropolitan Area, is seeking a full-time associate to join their passionate team! 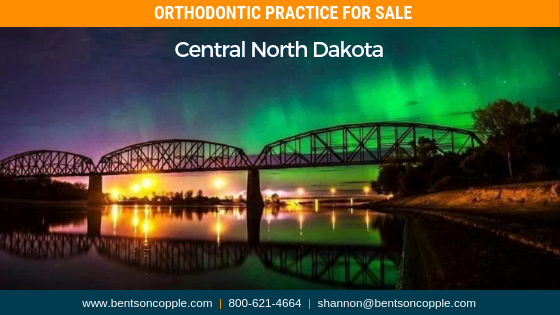 This practice desires an associate that is motivated about practicing orthodontics in an environment that offers patients both exceptional clinical care and an engaging patient experience. The Phoenix Metropolitan Area is often referred to as the Valley of the Sun and is the 11th largest metropolitan area in the nation by population. It is also one of the fastest growing areas and ranks 5th in the nation in economic growth. Residents experience a high quality of life with great communities and good school systems for your family along with dependable sunshine and warm temperatures making outdoor activities a way of life. Residents also enjoy a lively downtown community that is full of life! A sports lovers paradise, Phoenix is one of the few U.S. cities with franchises in all four major professional sports leagues: Phoenix Suns, (NBA), Arizona Diamondbacks (MLB), Arizona Cardinals (NFL), and Arizona Coyotes (NHL). If you are interested in joining a practice in which the doctor was voted “Best Orthodontist” from AZ Foothills Magazine 3 years in a row, this opportunity is for you. The ideal candidate is available by winter 2018 and eligible for Arizona licensure. To learn more about this practice opportunity, please forward your CV and letter of interest to shannon@bentsoncopple.com. 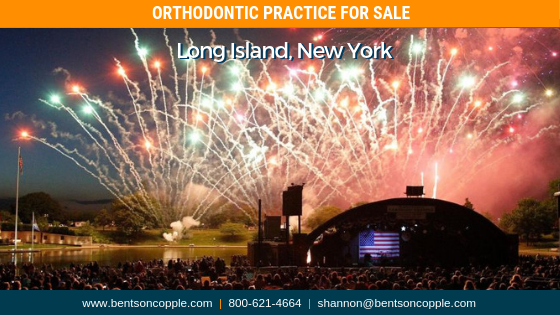 An established orthodontic practice located in a densely populated, multi-cultural area of Long Island, New York is for sale. In 2012, Forbes magazine, in an article based on the U.S. Census Bureau’s American Community Survey, reported that the county in which this village lies was one of the highest income counties in the United States and the most affluent in the state of New York, comprising four of the nation’s top ten towns by median income. The town is located less than 20 miles from Times Square, the “Crossroads of the World,” easily reached by car or the Long Island Rail Road, and less than a half-hour ride from LaGuardia, Kennedy, and MacArthur airports. There are a variety of experiences for residents with the park system that features an aquatics center, 18-hole golf courses, and a lakeside theatre which is a center for entertainment. If you are looking to own a practice in an area with much to offer, this opportunity is for you. The ideal candidate is available by winter 2018 and eligible for New York licensure. To learn more about this practice opportunity, please forward your CV and letter of interest to shannon@bentsoncopple.com. 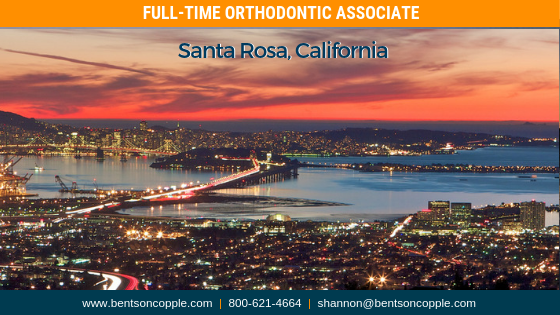 A multi-location practice in Santa Rosa, California is seeking a full-time orthodontic associate to join their growing team. Less than 60 miles north of San Francisco, you will find the happening hub of Santa Rosa. This is a city waiting to be explored with so much to see, do, eat, drink, bike, and hike. Santa Rosa is filled with people from all walks of life with various interests and hobbies. Numerous farms can be found along Sonoma County’s Farm Trails so residents can eat as local and fresh as they want. There is plenty of wine to go around as you are in the “Heart of Wine Country” with more than 300 wineries or vineyards to choose from. Don’t be surprised if you run into Snoopy or Charlie Brown. Charles M. Schulz, the creator of the world famous Peanuts comics lived the last half of his life in Santa Rosa. If you are seeking to live in a desired location with much to offer, this opportunity is for you. Ideal candidate is available by January 2018 and eligible for California licensure. To learn more about this practice opportunity, please forward your CV and letter of interest to shannon@bentsoncopple.com. Why is Team Building Important for an Orthodontic Office? For sixteen years, I had the privilege to work in a successful orthodontic practice. Our orthodontist always said that the reason for our success was due to teamwork, the way we interacted with the patients, and the efficient service we provided. He never boasted about the fact that he was well-known in our community as being the best around. You might be wondering what made us a good team? A team building event once a quarter is a great goal to strive towards. My favorite team building outing was cooking for parents and siblings at the Ronald McDonald House. This allowed us to work as a team to provide a meal for families in our area who had a child in the hospital. My friend and co-worker was a recipient of this program, so this was very special for us to be able to give back. An exciting outing we once went on was a high ropes course. This challenged us to help one another to complete the courses laid out before us. Whatever avenue you choose for a team building exercise, have fun and enjoy being out of the office for a change. We knew how to work together because we made it a point to support each other. There was no division between the “front and back.” The scheduling coordinators would do everything possible to make sure that the clinic could function efficiently and in turn, the clinical assistants communicated all day to ensure that everyone was staying on task and taking care of the patients. Our office averaged a hundred patients a day, so it was very important for us to be able to communicate and work together. Our team would go on a weekend retreat that we looked forward to every year. This retreat allowed us to focus on just spending quality time together and forming relationships out of the office. We were truly a “family.” When you love the people you work with, it makes doing your job a lot easier. Patients can sense whether the team gets along or not when they come into your office. That makes forming the bonds with one another all the more important. Although I am no longer a part of this team, the friendships I made during my time in that position have remained. This article was featured in the October 2018 edition of The InSight, our monthly email published for orthodontic residents and doctors seeking practice opportunities. This monthly email provides news and information focused on the fast-changing orthodontic industry and its relation to current and future orthodontic careers, highlight commonly asked questions that are timely to the young orthodontic community, and provide a current list of available practice opportunities. Click here to sign up for the email. Author BentsonCopplePosted on October 17, 2018 December 19, 2018 Categories Publications, Orthodontic Residents, Team InsightsTags Orthodontic Residents, Orthodontic RecruitingLeave a comment on Why is Team Building Important for an Orthodontic Office? 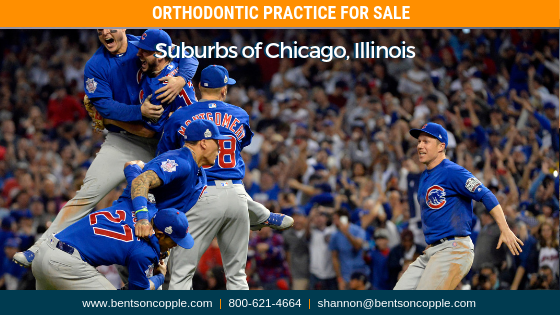 A well-established, private orthodontic practice located in the Suburbs of Chicago, Illinois is for sale. Chicago is the third largest city in the United States, with a population of nearly three million people. The multicultural city thrives on the diversity of its neighborhoods, all which offer numerous amenities. Sports are legendary in Chicago; whether the teams win or lose they are American urban icons. The city has some of the best higher education in the country, and quality education is available at all levels in the suburbs. The suburbs provide a fantastic quality of life with close proximity to the Windy City. The ideal candidate is available by winter 2018 and eligible for Illinois licensure. Please note the state of Illinois no longer requires a specialty exam; the regional exams accepted are: NERB, CRDTS, SRTA, and WREB. To learn more about this practice opportunity, please forward your CV and letter of interest to shannon@bentsoncopple.com. 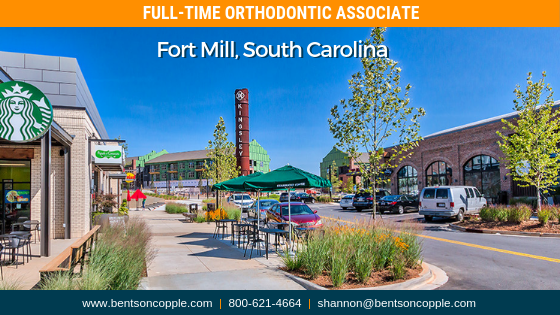 A brand new, contemporary orthodontic practice in Fort Mill, South Carolina is looking for a motivated associate to join their new model. Fort Mill, South Carolina is the up and coming new hot spot, located just south of Charlotte, North Carolina. The area is home to a number of thriving new businesses, residential communities, and is recognized as the fastest growing community in the nation. New residents seeking family friendly neighborhoods and higher quality of life will continue to drive the growth of this community. Fort Mill enjoys everything a small town has to offer but also all of the amenities of a big city. Charlotte offers high-end shopping, museums, restaurants, and an international airport with direct flights to Europe. The city is also home to multiple sports teams including the NFL Carolina Panthers, the NBA Charlotte Hornets, and an active NASCAR circuit. The ideal candidate is available by winter 2018 and eligible for South Carolina licensure. To learn more about this practice opportunity, please forward your CV and letter of interest to shannon@bentsoncopple.com. 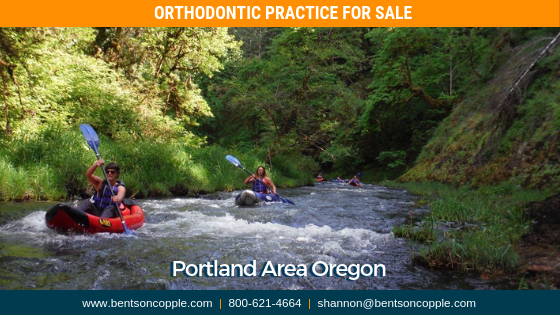 An orthodontic practice committed to creating unique smiles is for sale in the Portland Area of Oregon. Just a short drive from Portland, the coast, and Salem; this small, historic town is located in the heart of the agriculturally-rich Williamette Valley. The town is surrounded by hills lined with vineyards and is considered to be the heart of Oregon wine country. Locals believe that living here means being plugged into a close-knit community. From dining at an award-winning farm-to-table restaurant to chic shops and outdoor activities, this “special” town is the perfect landing place. This is the ultimate opportunity for an associate orthodontist looking for a mentor to join a team with years of experience! Ideal candidate is available by winter 2018 and eligible for Oregon state licensure. To learn more about this practice opportunity, please forward your CV and letter of interest to shannon@bentsoncopple.com. North Dakota is home to national and state parks that outdoor lovers will enjoy exploring as they offer an up-close look at the state’s beauty and diversity. Viewing wildlife like buffalo, deer, elk, and antelope are very common. Popular sports among North Dakotans include fishing, hunting, golfing, and biking. The traditional North Dakota spirit of self-reliance and cooperation is reflected on the cultural life of the state. Museums, galleries, and performing arts are a staple in the central region seeing that arts enrich lives, build understanding, and boost the economy. North Dakota’s location, climate, and geography are perfectly designed for viewing the Northern Lights any night of the year. Vivid green, purple and blue dance across the night sky giving stargazers a beautiful sight. This is a great opportunity to own a wonderful practice that strives on building relationships with their patients. Ideal candidate is available by winter 2018 and eligible for North Dakota licensure. To learn more about this practice opportunity please forward your CV and letter of interest to shannon@bentsoncopple.com. 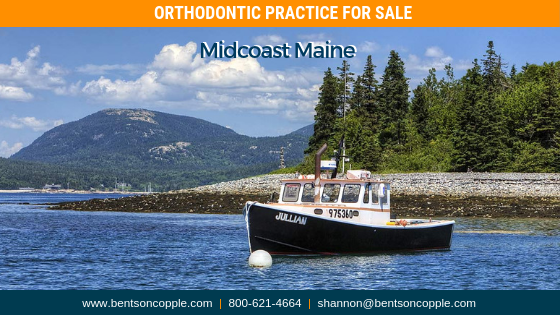 A well-established private orthodontic practice in a coastal community in Maine is for sale. The practice is located along the shores of Casco Bay that serves as a gateway to mid-coast and down-east Maine. There is a balance mix of retail, professional and arts-related businesses, along with traditional farming, foresting and commercial fishing. This New England town combines village flavor and city flair. The pedestrian-friendly downtown attracts shoppers, strollers, art enthusiasts, and foodies. Major employers in the area include LL Bean, Bath Iron Works, Wayfair, and Bowdoin College. Maine’s beauty and endless opportunities for recreational activity are found in and around this coastal town. This is a wonderful opportunity for a doctor seeking to own and practice in an eminently livable community. The ideal candidate is available by winter 2018 and eligible for Maine Licensure. To learn more about this practice opportunity please forward your CV and letter of interest to shannon@bentsoncopple.com.